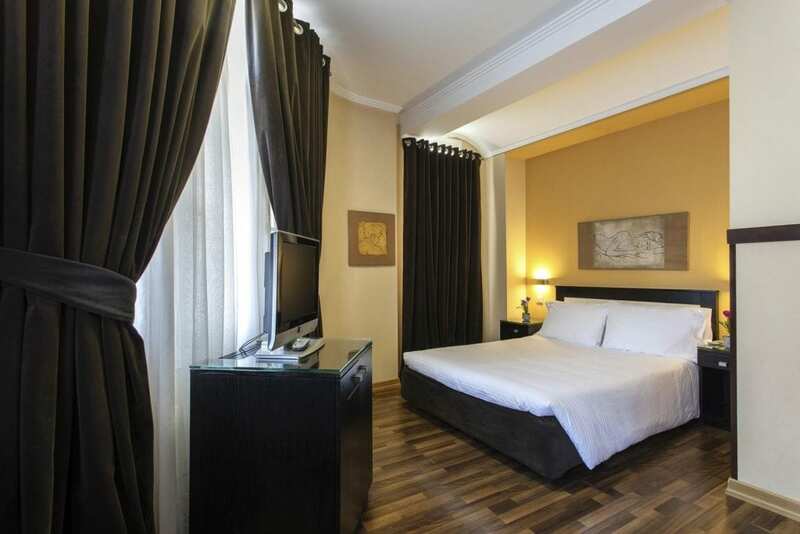 Egnatia Hotel guarantees your comfortable stay in a pleasant environment with extraordinary decoration, modern design and, above all, friendly and excellent service in a modern six-floor building. The hotel has double rooms with one bed, all with special decoration, with every detail taken care of, rich in amenities, ready to meet all your needs and requirements. The bright decoration colors will make you feel lively and in a good mood, the rich equipment will facilitate your stay to the maximum, and the professionalism and friendly service of our staff will make you feel at home. Special packages and discounts which are offered only in Egnatia Hotel.